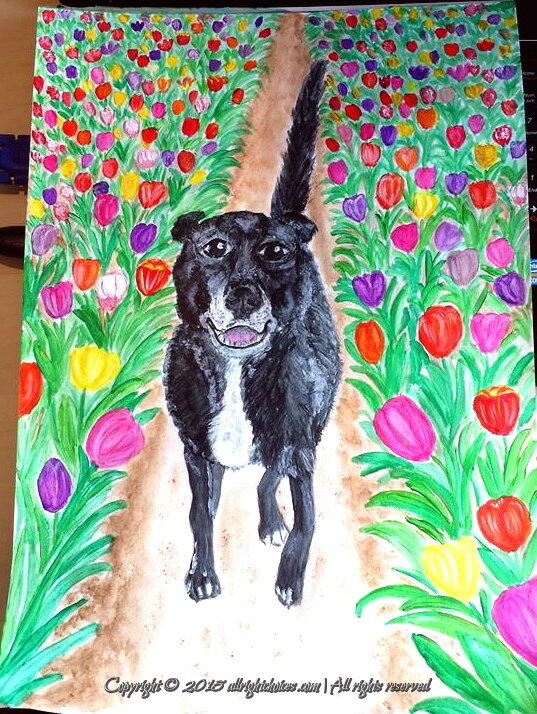 This entry was posted in Paintings and tagged acrylic, dog, Lisa, painting, spring, tulip fields, tulips by Lucy. Bookmark the permalink. Love it and even Lisa is happy with that smile on her face. Thank you again for sharing another one of your amazing paintings. Thank you for your lovely words, dear Frances! I still have the picture in my mind of her running towards me, so I just had to place that image somewhere 🙂 Tulip fields sounds pretty good. Many hugs! Thank you so much, Johanna! Yes, the doggy is Lisa, my pup 🙂 I hope it looks close enough. I love when she runs towards me, so I’ve decided to place her in the tulip fields. Thank you so much for your lovely words, Gin! 🙂 They put a smile on my face! It was meant to be Lisa, so yaaaay! I was inspired by the picture in which she was running towards me. I love when she does that. How’s the salmon hating kitty? haha I hope you adapted well. A lovely painting Lucy! Your dog looks so cute here 🙂 You are so talented!! Thank you so much! Also, your lovely comment put a smile on my face 🙂 Have a lovely day! You’re very talented, even capturing the dog’s expression. Thank you very much for your kind words! I very much appreciate it 🙂 have a lovely day! Happy spring to you too Lucy! 🙂 Love the eyes of your dog! Thank you so much 🙂 I am happy to hear this. Happy spring! This really is a happy picture! Tulips and dogs make a great combo! Thanks! I also think so 🙂 Happy to know you liked it! Have a great day! Very lively Lucy, it looks as if it is there in front of you. Keep sharing your’s such lovely painting. Thank you so much for your lovely comment, my friend! I’m happy to know you enjoyed my painting 🙂 I’ve been working in the past year to improve my skills, and it looks like with every new painting it’s getting better. I enjoy every type of art. It all bring color and joy into our lives. I love art, it is an excellent form to express our creativity…it hones our imagination and when we see such master pieces it immensely inspires us. Writing and painting goes very well, one rubs on the other, a good writing takes us to new painting and a good painting drives us write a good piece. Your words tell me you have some experience with this. Do you paint, or used to paint? I’d love to see some of your work. A beautiful mind and heart will definitely do impressive things with a piece of paper or a canvas. Keep up with photography and painting! It’s always amazing to see your work. One thing I have seen with all great artists is that they are all very humble and have beautiful thoughts, and you fall in love with their thoughts, ideas and their humility in conversations with different people. Lovely discussion with friends like you who are so good at art and don’t admit it drives me do better and keeps me on toe to keep learning new things from different art forms. Some might agree with you, and some might not. I know people who say artists are weird and eccentric. I believe it’s beautiful to meet the person behind the work of art. I agree with you, it’s beautiful to see their thoughts coming to life. From time to time I meet people who tell me they have no hobbies and no talents. I find that very strange. I agree with you Lucy, many artists are weird and eccentric…difficult to understand them and tough to interact with them. But it always fascinating to know about their life and their thinking and working behind such magical creations. Many times they just cannot put their experiences into words and they may not be always be good at communication and describing what they have done. It is a combined outcome of their intuitive power and their inspiration and the fire they have in their imagination. You are right some of us have the privilege to have the time to give to our hobby and nurture it leisurely. Passion is the fuel within us and we all live a life within which is many times more important than the life outside. The hobby dies if we don’t use it and in fact it needs constant nurturing to grow it…and working on our area of interest and making it work is not an easy proposition as it appears to the outside world. Indeed cheers to our such lovely conversations…let it contribute to the beauty of creativity. 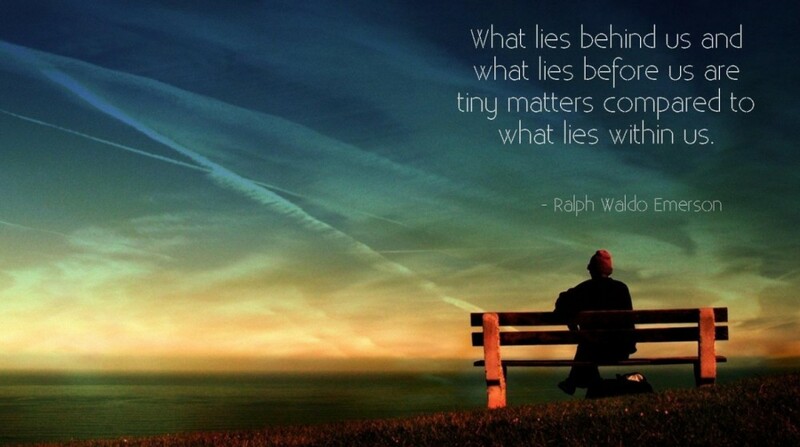 I also liked the quote… Very wise words. Thank you so much for your kind words! I’m very happy to know you enjoyed my painting 🙂 That’s Lisa’s cutest face, when she’s running towards me, so it was worth putting it into a painting. Have a lovely weekend! Thank you so much! I also love to see her running towards me 🙂 And tulips…always nice to have around! They always put a smile on my face. Many hugs! I know I already commented on this post, but every time I visit and see that happy dog, it brightens my day! I just wanted to add that to what I had previously said. You’re welcome – I didn’t want to keep it to myself! This was my first look at your painting. What talent! Thank you so much, Anne! You’re far too kind 🙂 I’m glad you enjoyed it! Have a lovely day.